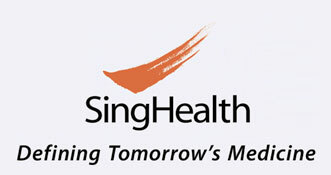 Millions of patients trust SingHealth with their lives every year. That’s why SingHealth stand united in promise to put patients at the heart of all we do. Behind each healthcare professional at SingHealth is a multi-disciplinary team committed to delivering the best patient care possible. Within vibrant medical campus, SingHealth pursue innovations that transform care to comfort and heal our patients. SingHealth galvanize the best clinical and research capabilities and seek to discover new and better ways to cure and care for patients. SingHealth is honored to hold the roots of medical education in Singapore, with founding veteran professionals committed to a strong mentorship culture to pass the baton of medical excellence for generations to come. As our institutions rise up as centers of excellence, integrating clinical services, teaching and research in a holistic manner, SingHealth do not lose sight that our patients are the reason why we are here in the first place. SingHealth will continue to hold steadfast to our values that make healthcare a noble calling and to serve with care and compassion, for the betterment of our patients.